Queen’s Jubilee — All-New Content Begins August 6! Fancy New Items in the Gem Store! Check out this week’s new Black Lion Trading Company offers! 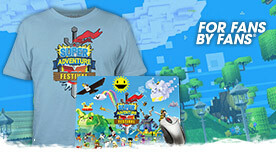 We’ve got fashionable armor skins, convenience items, and limited-time pricing! Angel McCoy brings us a short tale about Evon Gnashblade, one of the two Captain’s Council candidates in the current Cutthroat Politics release! Writer Angel McCoy delves into the background of Lionguard Inspector Ellen Kiel. The Cutthroat Politics release has begun! This guide will help you get started on the new content. 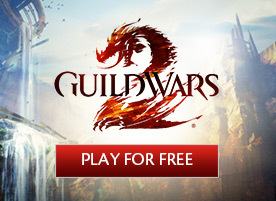 If you’re a huge Guild Wars 2 PvP fan, this is your chance to shine. The Regional Qualifying and Invitational Tournaments will put you and your team up against some of the best opposition with a $10,000 cash prize pool and the title of international champion on the line. Register today! Colin Johanson provides a preview of the features and content you can expect from Guild Wars 2 in the last half of 2013 – new releases every two weeks, brand-new skills and traits, new rewards, an expanded crafting system, and much more! Cutthroat Politics — All-New Content Begins 23rd July! The future of Lion’s Arch is in your hands! 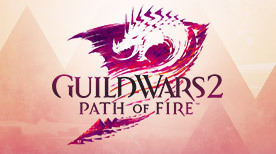 We’re proud to announce the very first Guild Wars 2 Invitational Tournament on August 31, 2013 during PAX Prime! Read on for more details!